A nationally important bid involving a growing high tech employment area on Ellesmere Port’s outskirts has hit the button. The huge new enterprise zone initiative, which has approval from the Government, is intended to secure major growth for what is known as Cheshire’s ‘Science Corridor’. 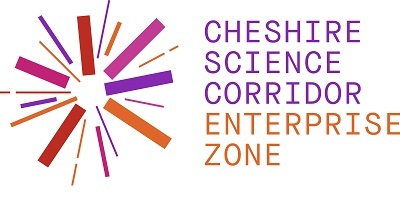 Cheshire and Warrington Local Enterprise Partnership (LEP) is delighted that the Government has decided to award Enterprise Zone status to the Cheshire’s Science Corridor. 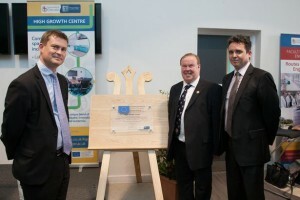 As an Enterprise Zone, the LEP will be able to provide significant help with business rates for life science start-up companies at Alderley Park, promote the development of the nuclear cluster at Birchwood through infrastructure and other improvements, and will allow new investors to benefit from enhanced capital allowances in Ellesmere Port and at the Thornton Science Park. This is also an important step in realising the ambitions outlined in Cheshire and Warrington’s devolution growth bid to deliver a £50bn economy in the next 25 years, supporting the government’s Northern Powerhouse vision and the growth of the sector at national level. Christine Gaskell, Chair of Cheshire and Warrington LEP, said: “As the home to a leading and nationally significant science sector, securing Enterprise Zone status is great news for Cheshire and Warrington that will enable us to drive further economic growth and deliver the crucial infrastructure we need to support it. Paul Dickinson from Seda Pharmaceutical Services based in the BioHub at Alderley Park commented “The Enterprize Zone status will support new businesses in making the move to Alderley Park. The discounted business rates will make Alderley Park an attractive location for new biotech start-ups looking to exploit exciting science. Our collaborative approach to drug development and our partnerships with other Alderley Park companies provides us with great opportunities to develop new medicines with increased likelihood of product success”. 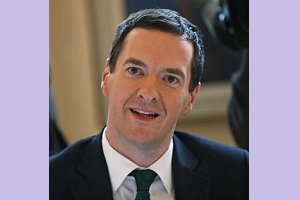 CHANCELLOR George Osborne confirmed Birchwood will be given ‘enterprise zone’ status in last Wednesday’s Autumn Statement. During the announcement Mr Osborne revealed 26 new enterprise zones will be created across the UK, including a new Cheshire science corridor. The corridor will join together Cheshire and Warrington’s nationally and internationally significant research facilities at Alderley Park and the nuclear cluster at Birchwood. Read more from The Warrington Guardian here.